The right hypothyroid diet that helps with your symptoms can be tough to find. The secret to improving your hypothyroidism and overall well-being is to change your diet and avoid the foods that are causing the most harm. One of the most frustrating symptoms of having an underactive thyroid is the consistent fatigue and lack of energy you feel. You yearn for the days when you were able to be active, keep up with your kids or even just to appreciate a warm, sunny day. What most people do not know is that thyroid medication alone is not enough to help you regain your vigor and zest for life. To a society that has learned to eat a diet predominantly made of processed, white flour, excluding gluten and grains from the diet sounds like a nightmare. However, there is increasing research that links the consumption of gluten-containing foods to the rising epidemic of autoimmune conditions. Excluding gluten alone could, for many people, improve symptoms of hypothyroidism. Gluten opens the “doors” of the intestines so that big protein particles like gliadin (part of the gluten molecule) escape into the blood. (2) When this happens occasionally, the immune system is called upon to clear the gliadin. When it happens over the course of months and years, the immune system dysfunctions and begins to attack healthy tissue. This is ultimately what happens in the case of Hashimoto’s thyroiditis. Gluten begins a cascade of events that eventually ends up in the demise of the thyroid gland. 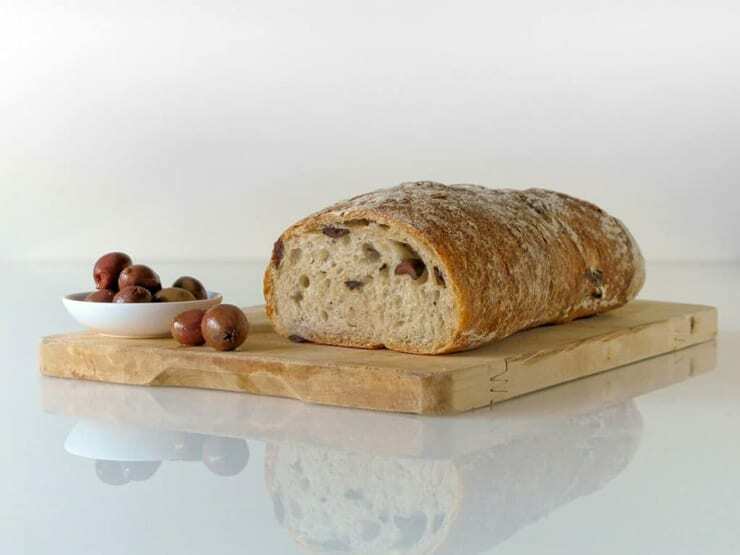 Therefore, you can appreciate, when gluten is removed, many people with hypothyroidism start to feel better. Also, keep in mind that naturally non-gluten containing grains like rice and oats could be contaminated with gluten from the factory they are packaged in. Watch out for foods that seem gluten-free, but aren’t (like these), Make sure you choose foods that are labeled as gluten-free. Should all grains be excluded? In the beginning of a protocol to heal hypothyroid symptoms, it helps to exclude all grains. This includes grains that are considered healthy like oats, quinoa and buckwheat. Also, remember that corn is a grain too! These too can trigger an autoimmune response in sensitive individuals. Once symptoms improve, you can introduce these grains slowly in order to assess if they are tolerated. Since people with hypothyroidism typically have issues with a leaky gut, excluding dairy in this group of people also helps alleviate symptoms of hypothyroidism. 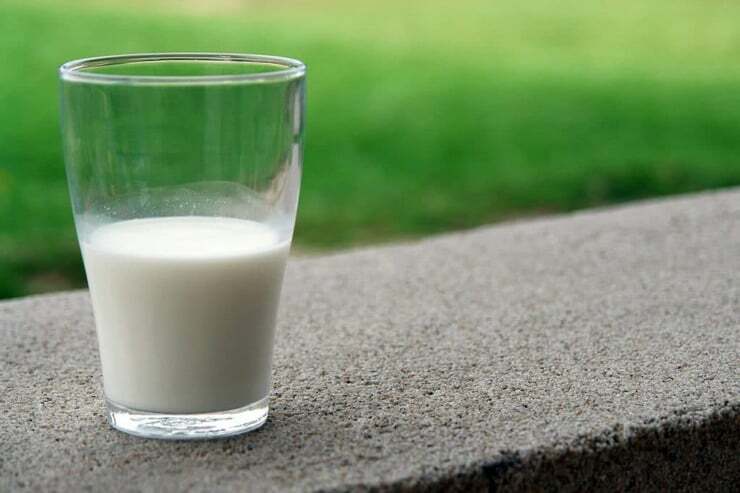 Just like the immune system can attack gluten, casein, one of the proteins found in milk, can also trigger an autoimmune response. Therefore, avoiding dairy in a hypothyroid diet is also needed to heal. Although you may relate soy to health, it should be excluded entirely from the diet. This is so because soy contains isoflavones which have been found to be an endocrine disruptor. What this means is that soy interferes with the delicate balance of hormones within the body. As you can see, soy products are simply not a good idea for hypothyroidism. Although it may be obvious to exclude foods like soy milk or soy protein from the diet, what my not be so obvious is where soy is hidden. 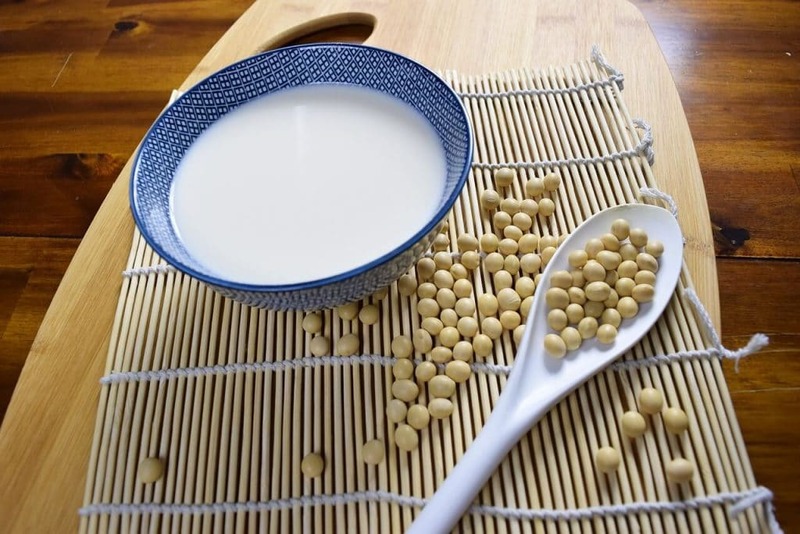 For example, soy lecithin is an additive made from soy that is ubiquitous in most processed foods. Therefore, it is very important to avoid processed foods and to always check the label before purchasing or eating a packaged food. Most people with hypothyroidism have issues with blood glucose balance and metabolic syndrome (a group of metabolic risk factors which include insulin resistance) caused by a diet filled with processed sugar. (7,8) Therefore, it is imperative for thyroid patients to balance blood sugar in order to optimize thyroid function. 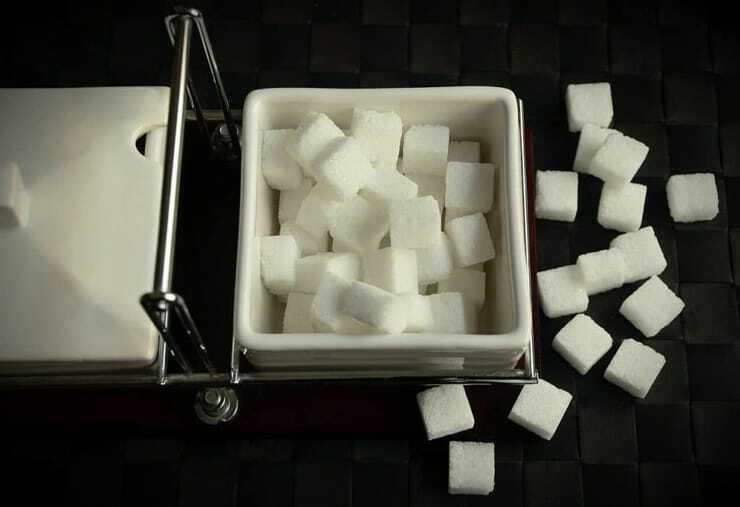 One great way to avoid many added sugars is to stay away from processed foods. 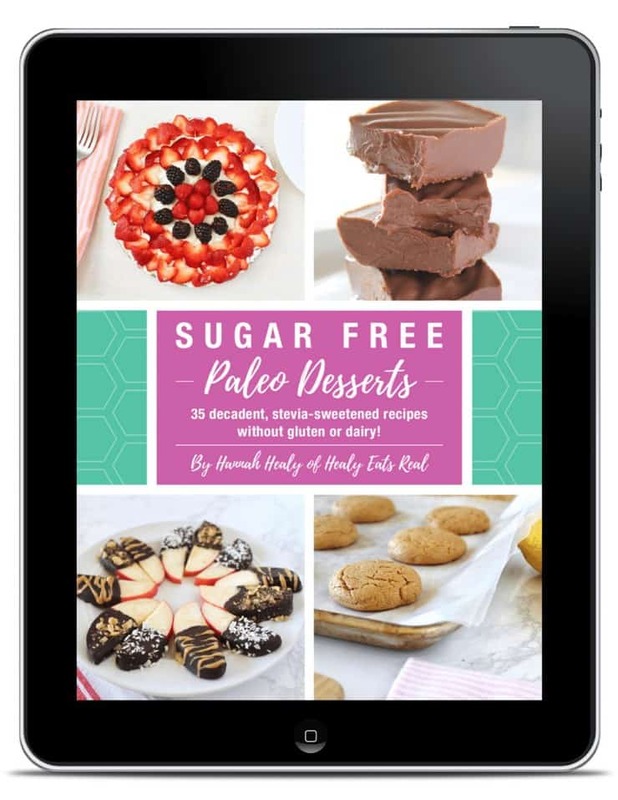 You can also download this free guide to quitting sugar. It’s best if the only sugar that you consume is from fruits. Even so, in order to balance blood sugar, it is important to mix fruits with a protein source (like nuts) to avoid a glucose spike in your blood. Eating in this fashion will help you to balance your blood glucose, lose weight and enhance thyroid function. A goitrogen is a compound in food that blocks the thyroid from working optimally. 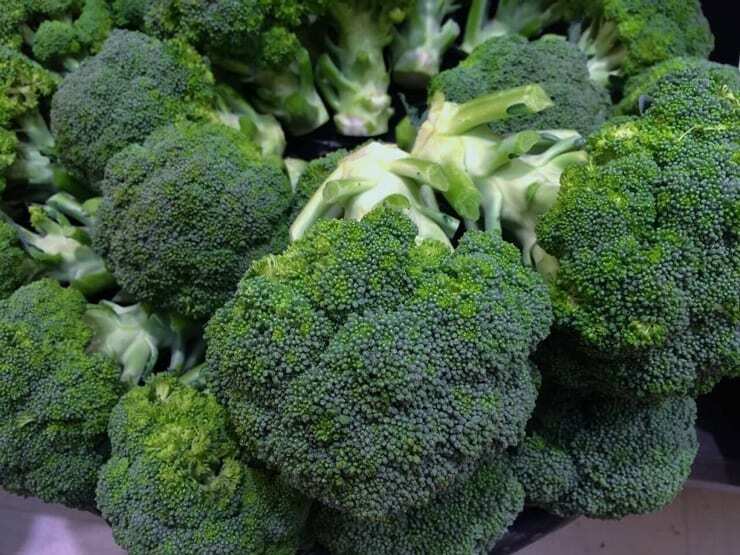 Goitrogens can be found in cruciferous vegetables like broccoli, kale, cauliflower, brussel sprouts, collard greens, cabbage and more. But, before you remove these foods from your diet completely read on…. Technically, goitrogens fight for the absorption of iodine which is an essential ingredient needed for thyroid hormone formation. This ultimately decreases thyroid function. Most people with hypothyroidism believe that they should avoid these foods, however, there is evidence that shows it is not as clear cut as this. It is actually ok to eat goitrogenic foods like cruciferous vegetables when you are not deficient in iodine and selenium. (9) If you check for these deficiencies, eating foods that contain goitrogens are actually good for thyroid health. They contain liver detoxifying as well as anti-cancer properties. Therefore, not eating these foods is more risky than including them in your diet. If you suspect you may be deficient in iodine or selenium or if you aren’t sure, you can make sure to cook goitrogenic foods (steamed broccoli, sauteed kale, etc.) and avoid eating them raw. The process of cooking breaks down goitrogens and makes it safe for healthy thyroid function. With sub-clinical hypothyroidism, your thyroid hormone levels aren’t flagged as bad enough to be considered hypothyroidism to warrant medication, but many people still suffer symptoms that may necessitate the use of certain supplements. That’s why I use this at-home test to keep an check on my thyroid levels. It measures TSH, Free T4, Free T3, and reverse T3 so I can get a complete picture of what’s going on. Then I take my results to my nutritionist, one who understands both western medicine and alternative healing methods, so we can read the results together and get to the root cause of it all. 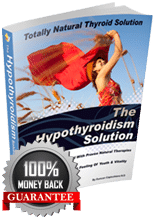 It’s best to work with a good naturopathic doctor, but you can also take a look at Dr. Cappichiano’s incredible eBook The Hypothyroidism Solution. On page 12 he tells you how to interpret your thyroid test results, so you know exactly what stage of hypothyroidism you’re dealing with and what to do about it. It’s always good to be informed about your own health. It may sound disheartening to find out that once thought “healthy” foods are unhealthy, but when it comes to an underactive thyroid or an autoimmune condition, research shows that a diet free from grains, sugar, dairy, beans and legumes is ideal to improve symptoms. In many cases, it may even put an autoimmune disease into remission. A paleo-style diet is free from grains, pulses, legumes, dairy and sugar and can be very helpful for the thyroid. Carol says…“I feel so much healthier, I’m not tired anymore, I’m eating better, don’t feel bloated or stressed. My skin is not dry. My joints don’t hurt as much. It’s surprising what you can do with the correct information explained to you right. I could never understand why I could not lose weight. This article was originally posted in January of 2017 but has been republished in February of 2019 to include updated information and a new video. I’m healing Hashi’s so I am following all of this! I do have white rice here and there and some of the crucifers but I did avoid them for a time. I tolerate them fine now and it really makes a world of difference avoiding gluten, dairy, and soy for me! Great post – so important and such an easy start to healing! Yea, I think the cruciferous veggies are fine if your iodine levels are ok. But I usually cook them most of the time because I don’t really like them raw anyway! I agree, avoiding gluten, dairy and soy are big ones! Great info here. Thank you for putting this together. Sending to my mom who has Hashi’s and tends to have low iodine levels! Wonderful post! I wish all of this info was easily available when I was diagnosed with hypothyroid 11 years ago. But alas, 6 further years of gluten and dairy before I learned I had Hashi’s and was able to put it into remission by avoiding these foods. Glad you are sharing this info for others that are now getting diagnosed so hopefully they can avoid years of further questions of why they still feel terrible. Oh I love how you are focusing on eating for optimal hormone health! Great way to educate those who are struggling. I have no experience of this but what a great resource for those with an underactive thyroid. What a wonderful article. Very easy to read and understand. Thanks so much for sharing here with us. Wow, I didn’t know about #5. That’s really helpful to know! I avoid most of the others. Such great info! I’ve had thyroid issue since I was 17 and I was never given any info on diet- it was all pills. I’m so glad I discovered paleo because I truly do feel better. A great review of foods to avoid and some accompanying research too – thanks for posting these great tips! Great info! Definitely sharing this! So good to know! I had no idea about goitrogens. What a wonderful post, there’s a couple people in my life who will love this, and it’s so awesome to have this kind of information organized into one easy to read spot! I never knew that about cruciferous vegetables! I have had hypothyroidism for over 20 years. I am just now learning about paleo eating. I am also diabetic and my dietician has strongly said to not follow that way of eating . she wants me to only consider carbs and not calories. i’m really confused now. my a1c has dropped by watching carbs but my weight has not dropped. what and who do I believe? The decision on what to do for your health is ultimately up to you. It’s important to be your own health advocate and do your own research. 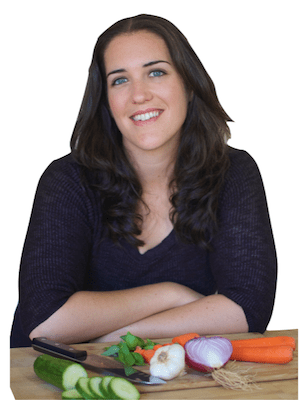 I would recommend checking out Chris Kresser, The Paleo Mom and Dr. Hyman as well. This is specifically for people with hypothyroidism, but it would help anyone to avoid these foods. Nice to see more nutrition based approach to autoimmune disease. I’m dealing with Graves but the advise here applies to my symptoms also; leaky gut is a subject growing in popularity even though it’s been around since before the antiquity! I would, however, point out that buckwheat is not a grain, as stated in your article, it’s a seed and a very good source of fiber for those of us on restricted diets, not to mention the many other health benefits. It’s important that your readers are not incorrectly advised to eliminate yet another food source given that our diet is already somewhat imbalanced. Kind regards. Thanks for making that distinction Marina. However, according the to AIP (autoimmune protocol) which is the diet recommended here for autoimmune issues, seeds would be eliminated as well at least for the initial period to identify food sensitivities. I am on hormone replacement after radioiodine treatment for my thyroid for over 10 years now. I was okay till couple years ago start having problems after eating gluten and dairy. I have had gluten intolerance test done and it came negative. Would it be any good if I try gluten and dairy free diet even though I am not gluten intolerant? Many thanks. Definitely. The gluten tests are limited and don’t always cover everything. I’ve seen many people that came up negative on tests, but still took out gluten and felt better. The best way to test is to take gluten out of your diet for 30 days, see if you feel better. Then have something like 2 pieces of bread for 2 meals on the 31st day and see how it affects you. I wish I would have known that earlier…I was diagnosed with Thyroid cancer and had it totally removed. I am gaining or not losing any weight on Levothyroxin…did try many diets. I am now doing Bright Line eating…No sugar or anything made with flour, should I also avoid dairy…totally confused! It means any and all beans and legumes. I have hypothyroidism and am a a:?vegetarian. I rely on dairy, legumes, and soy based meat substitutes for my protein. I eat nuts and nut butters sparingly bc of the fat contest along with eggs. I am not really fond of milk. I love cottage cheese. Any ideas?